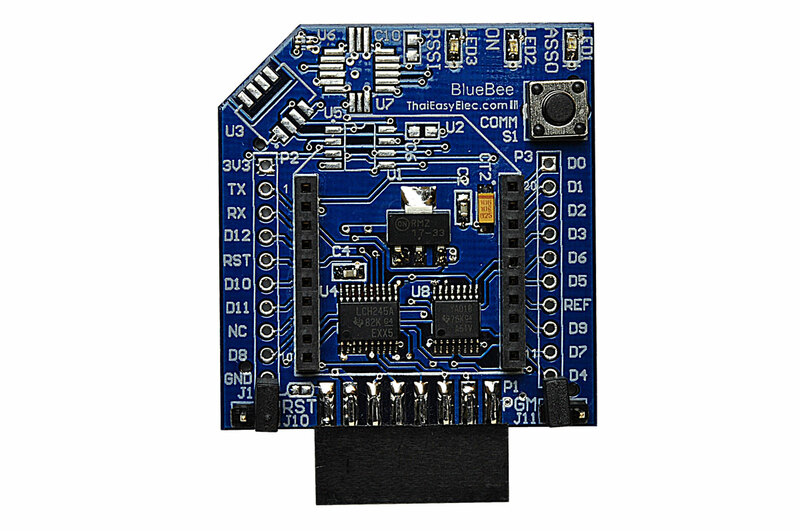 BlueBee is XBee adapter for the BlueScreen. It contains two of 10-pin 2mm-pitch connectors for Digi’s Xbee module. 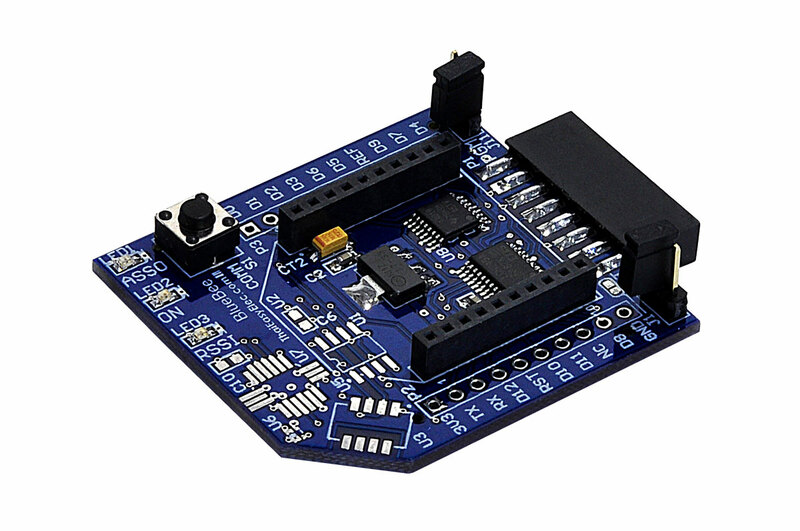 Including with on-board footprints for various types of sensor, it supports temperature and humidity sensor SHT11 (or SHT15), ambient light sensor TPS852 and absolute pressure sensor (and also temperature) SCP1000. 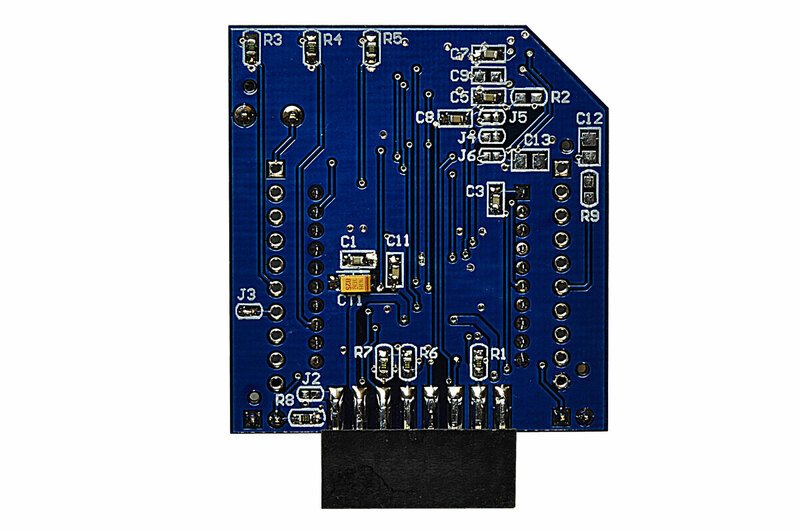 Easy to interface with 5V-tollerant low voltage buffer 74LVCH245, the board can be interfaced with both 5V and 3V3 MCU (or USB to serial module). It designs to plug directly into the BlueScreen board. 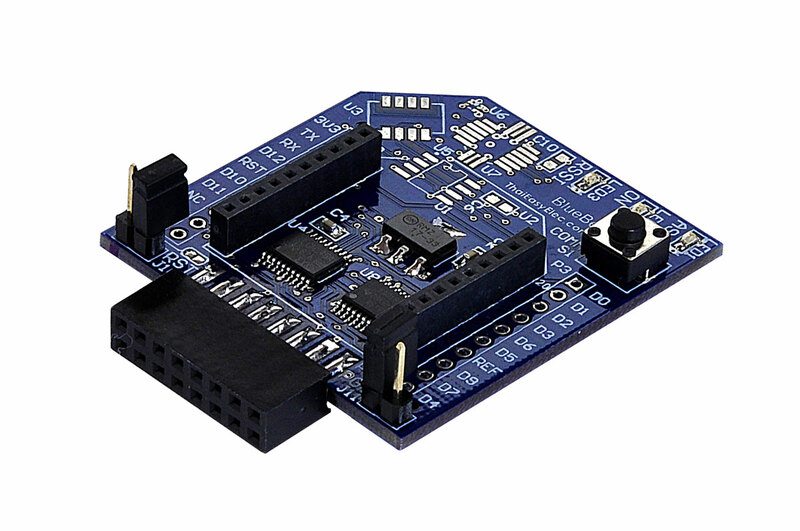 NOTE: The sensors and XBee module are not included. The moudle contain XBee socket connector, 3.3V regulator, 74LVCH245 level buffer, TS3A5018 analog switch, LEDs and footprints for sensors mentioned above. Sample video with English subtitle.